A California jury has awarded $2.86 million dollars in what is believed to be the first renal cancer case to be tried to verdict in state court. The plaintiff, who has so far survived the disease, brought the case against a construction company and a petroleum refining and marketing corporation claiming negligence after developing renal cell carcinoma (RCC), the most common type of kidney cancer. Though asbestos exposure most often causes two main types of mesothelioma: pleural mesothelioma, which starts in pleura (the sheets of tissue that cover the lungs) and peritoneal mesothelioma, which grows in the peritoneum (the tissue lining the inside of the abdomen), studies also link the development of RCC to exposure. Though the award in this case totaled nearly $3 million, according to the most recent filing, so far the construction company has been found liable for $0. Further, the petroleum company is only liable for $92,035 so far, plus recoverable costs and/or prejudgment interests/costs per California Code of Civil Procedure (CCP) Section 998, subject to future hearings to be set. The plaintiff’s total economic damages were $320,132 for loss of social security benefits, $131,108 for loss of household services, $215,750 for past medical costs, and $78,300 for future medical costs. Non-economic damages were $2.12 million. Though future medical costs are covered, there has been no word yet on whether or not the plaintiff will take any further action. If you have been exposed to asbestos, see your doctor right away. Although there is no cure for mesothelioma, early detection could lead to better outcomes. California Courts, The Judicial Branch of California. Judicial Council of California, 2018. Web. 13 Jan. 2018. Candura, S.M., and R. Boeri. "Renal Cell Carcinoma and Malignant Peritoneal Mesothelioma after Occupational Asbestos Exposure: Case Report." PubMed.gov. US National Library of Medicine, 26 May 2016. Web. 13 Jan. 2018. Smith, A.H. "Asbestos and kidney cancer: the evidence supports a causal association." PubMed.gov. US National Library of Medicine, n.d. Web. 13 Jan. 2018. 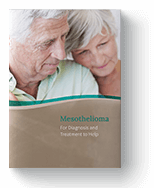 "What Is Malignant Mesothelioma?" American Cancer Society. American Cancer Society, Inc., 2017. Web. 13 Jan. 2018.